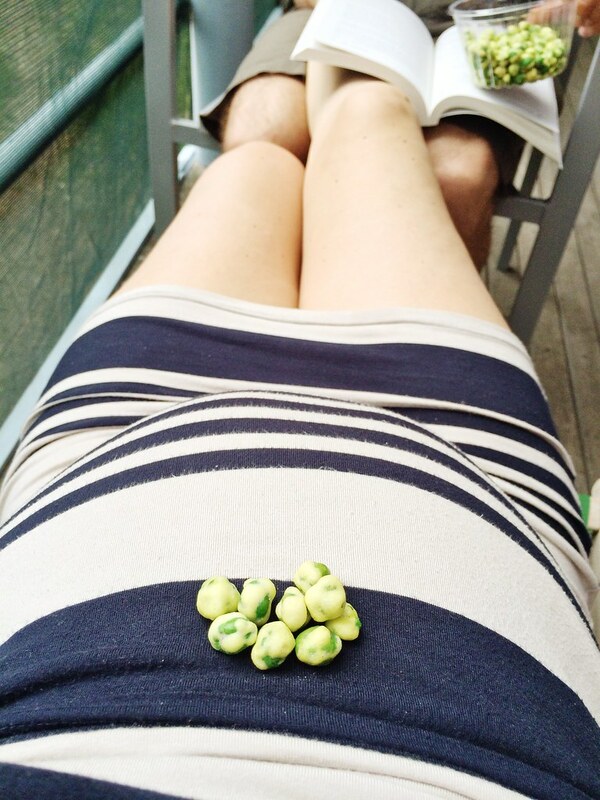 It's been an interesting time to be pregnant. 2013 was full on, with plenty of other things to be focussing on which I think for the most part has been a blessing. I don't think it's healthy to have not much else to think about than being pregnant, with an epic spread of google-able symptoms and contradictory advice a mere keystroke away! Apart from Dave's major surgery, our wedding, honeymoon and moving house twice (darn landlord wanted to move back in! ), 2013 also saw some epic changes over at I&S. If you're not up to speed with the news, Teegs made the massive & difficult decision to leave the business to pursue other adventures. The timing wasn't ideal, but when things just don't feel right anymore you just have to follow your heart; after all I'm embarking on new life adventures of my own! 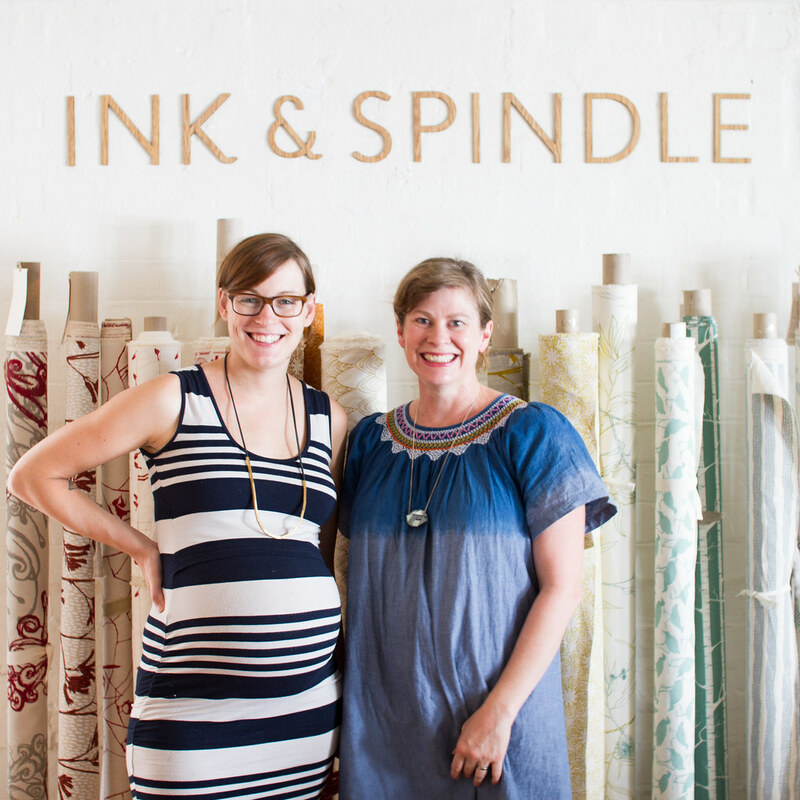 So 2013 saw us commence the epic process of finding someone to take over her role and half of the business. The up-shot of moving house is that we ended up in a place with more space, including the luxury of a dedicated baby-room. 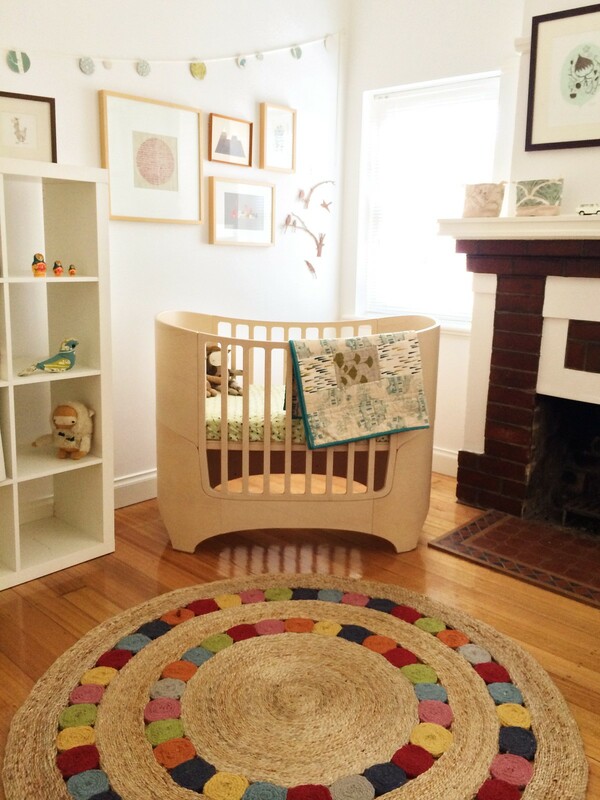 I bought the cot second-hand from Cintia @ My Poppet, the rug from our mates at Armadillo & Co, but everything else - the prints and cute softies etc - I had already collected over the years from talented friends or made as samples for work. I'm also feeling very lucky to have such talented and patient friends! 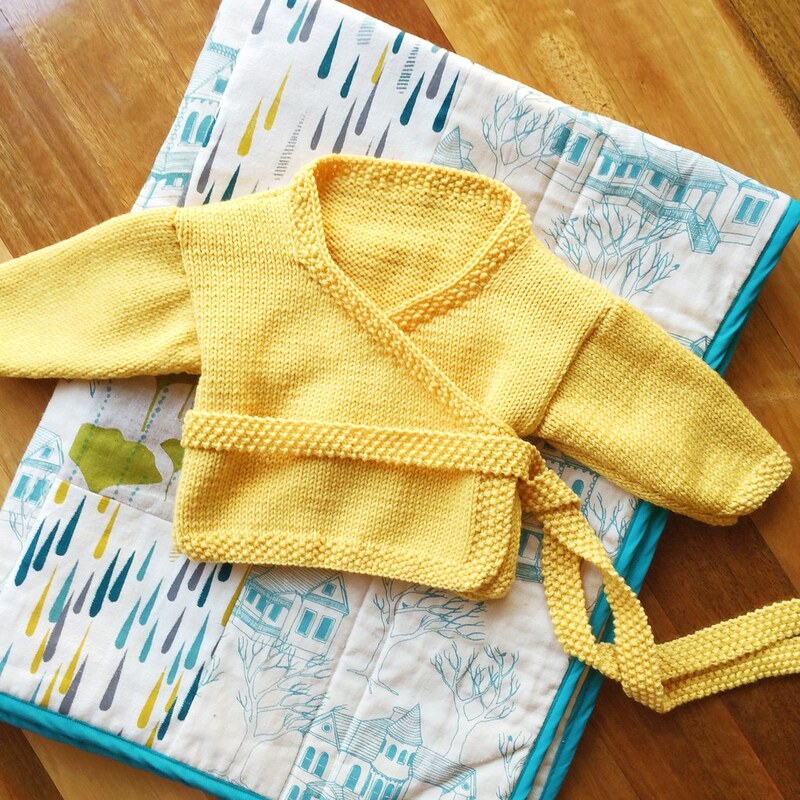 How cute is this tiny hand knitted kimono wrap cardi from Leisl! 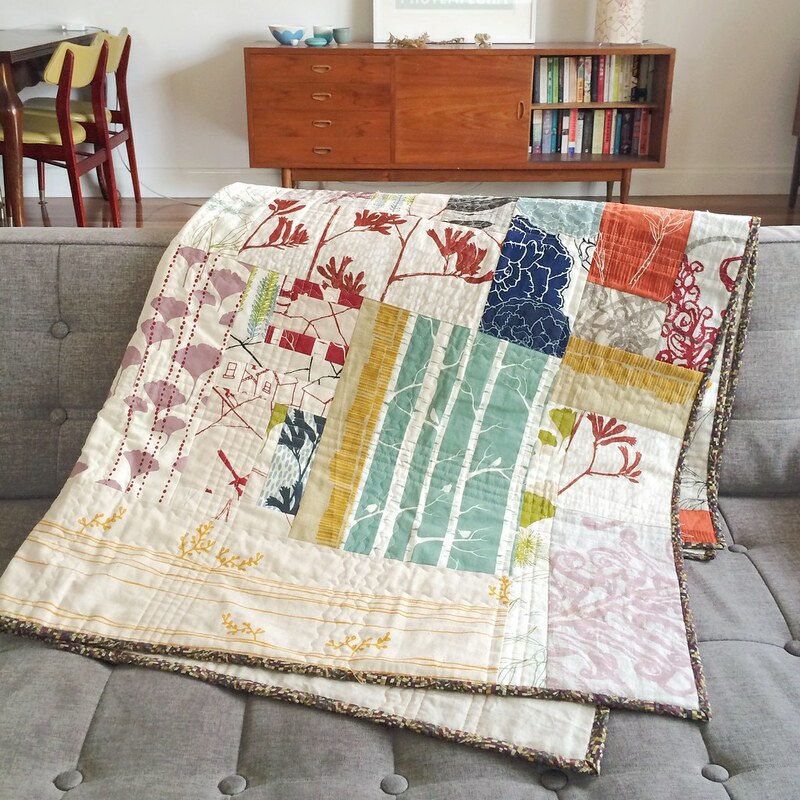 This quilt was a recent totally unexpected but awesome baby shower gift. My sis-in-law commissioned her friend (and long term I&S fan) S-J to make this quilt for our little one using offcuts and pieces of our fabric that S-J has collected over the years. So incredibly special. It's like a trip down memory lane and I love it. I'm sure the little one will too! More pics on S-J's blog.